NingXia Red® combines the extraordinary wolfberry superfruit with pure Orange, Yuzu, Lemon, and Tangerine essential oils, along with blueberry, aronia, cherry, pomegranate, and plum juices to deliver a whole-body nutrient infusion. This powerful formula includes wolfberry, blueberry, aronia, cherry, pomegranate, and plum juices. NingXia Red’s essential oil blend is a citrusy blend of Orange, Yuzu, Lemon, and Tangerine essential oils. 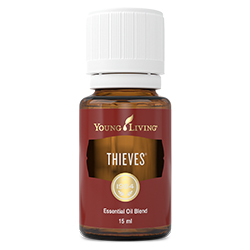 Chosen specifically for their flavour profiles, these essential oils also contain d-limonene, a powerful, naturally occurring component found in citrus oils. Enjoy NingXia Red daily to energise, fortify, and revitalise the body and support overall wellness, from head to toe. NingXia Red provides a whole-body nutrient infusion for wellness support. Sustain energy with the combination of select wolfberries and other superfruits. Fortify and revitalise with NingXia Red. Drink 30ml twice daily. Best served chilled. Shake well before use. Refrigerate after opening and consume within 30 days. Do not drink directly from the bottle. Do not use if the seal is broken. Chill and serve NingXia Red to family and guests at gatherings and celebrations when you’re looking for a healthy alternative to sparkling drinks. Treat children to this tasty drink instead of sugary soft drinks. 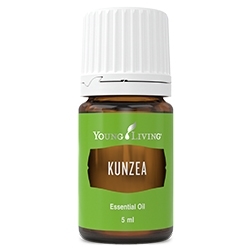 Add a drop or two of your favourite culinary essential oils for an extra boost of flavour! 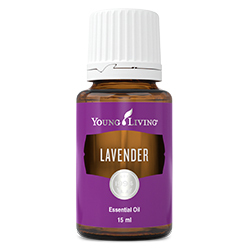 Try Peppermint, Jade Lemon or Grapefruit. NingXia Red delivers Orange, Yuzu, Lemon, and Tangerine essential oils containing d-limonene, a powerful component in citrus oils. NingXia Red is free of high-fructose sweeteners. NingXia Red is formulated from wolfberries and the juice of blueberry, cherry, aronia, pomegranate, and plum. The legendary Ningxia wolfberry (also known as the goji berry) has long been sought after for its rich nutritional content. With documented use dating back to the Ming Dynasty, it is one of the earliest known superfruits utilised in ancient Chinese practices. Residents of the Ningxia region of northern China, where the wolfberry grows, have especially enjoyed the astonishing benefits of the wolfberry that grows in the area. However, due to the Ningxia region’s physical and political isolation, knowledge of this remarkable superfruit remained relatively hidden from Western culture. Wolfberry puree is the core ingredient in NingXia Red. The wolfberry is revered for its unparalleled nutritional profile, which includes fiber, zeaxanthin, critical amino acids, polyphenols, polysaccharides, and a distinctive ratio of trace nutrients. To ensure that you’re not missing out on any of these transformative wolfberry benefits, Young Living uses wolfberry puree instead of juice, so NingXia Red includes the goodness of the whole berry: the skin, juice, and pulp. 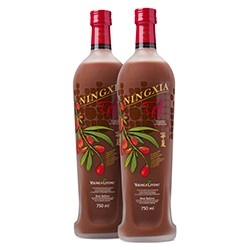 NingXia Red is also formulated with a dynamic blend of blueberry, plum, sweet cherry, aronia, and pomegranate juices, plus grape seed extract, vanilla, and stevia, which help give it its vibrant taste and colour. What really sets NingXia Red apart is its blend of Orange, Tangerine, Lemon, and rare Yuzu essential oils, contributing to NingXia Red’s delicious flavour.